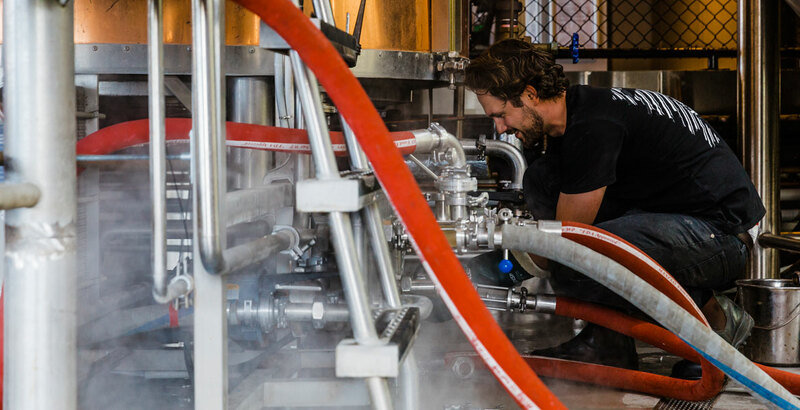 The Indian Ocean Brewing Co – or Indi Brew, as it's often called – has been producing beers at its waterfront location on the northern outskirts of Perth for well over a decade now. But the manner in which it's been doing so has changed rather drastically in the past three years. Where once almost all of its beers were sold over the bars at Mindarie Marina, with only the occasional keg heading towards the CBD to the south, now as much as half of its output heads offsite. And where once you'd have found a lineup of safe beers – lager, English and German-inspired ales, mid-strength – now you're as likely to come across beers built upon odd yeasts, luscious stouts or IPAs as juicy as they are hazy. 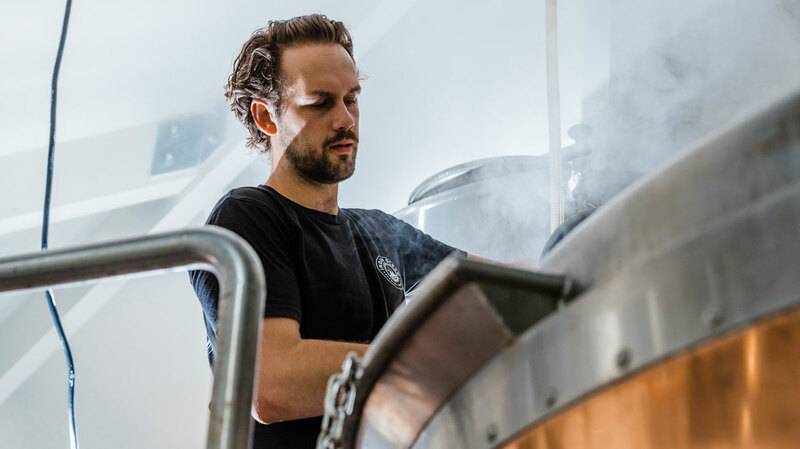 At the heart of the change is Jack Purser, the young brewer who joined them late in 2016. He'd fallen into brewing almost by accident a decade ago; his sister got him a job within the venue side of Mash's brewpub in the Swan Valley as a teenager and when the assistant brewer at the time left then head brewer Dan Turley asked if he'd help with deliveries – and one thing led to another. Following that, there were stints at The Monk in Freo, the Old Brewery, Homestead in its startup days a spot of travel around the States and then a job at The DTC upon his return. It's a run that ensured that, while there had been no homebrewing or formal brewing training prior to the call from Dan, he brought plenty of knowledge and ideas to Indian Ocean. "We shortened the beer list, got rid of a couple of beers and focused on making new stuff," he says of the early days on the Marina. "It's hard to sell a pale ale or lager into a market with rotating taps; our approach seemed to work so we were pretty much left alone. "We had a bit of a blank canvas, our beers started making [the brewery] more money and with that came a free rein." 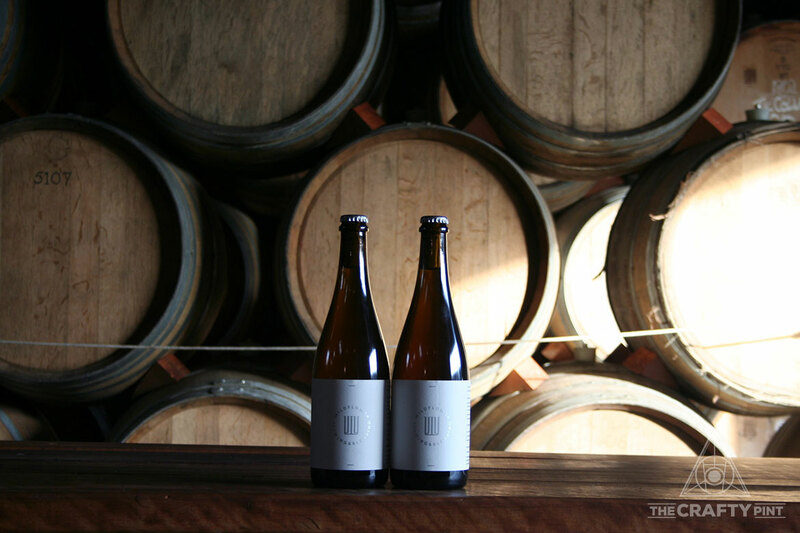 Over time, the loosened constraints have led to much-loved beers like Fruitulus Lupulus and Plumed Serpent, both of which made our Best New WA Beers Of 2018 list and greater demand from across WA. The brewery itself has moved to a bigger space and output has doubled (or more than doubled in summer). Along with the beers have come frequently out there names and accompanying artwork, typically featuring references from pop culture, art or music. At times, they've started out as in-jokes between the brewers that can require lengthy explanation at the bar – Brett Not Brett's artwork can be traced in inspiration back to a t-shirt from the Milk The Funk online brewers' group, for example – but, says Jack: "They're like an Easter egg for those who are interested." The change can be witnessed within the local clientele too; whereas the lager used to outsell the pale two to one, now the latter is in pole position. Meanwhile, a decision to launch some specialties in-house before sending kegs to venues across the state has started bringing more beer lovers north to experience them while lazing by the ocean. Initially I became a brewer out of equal parts blind luck and hard work. Nowadays I love the fact we can make a product that’s shared and enjoyed by strangers and peers alike. I’ve been brewing commercially since I was 18, so this is a tough question. I’d probably be a horticulturist. I fell into it. Dan’s assistant decided he’d had enough and abruptly left; initially I was just doing deliveries and cleaning kegs and it grew from there. Back where it all began, teenaged Jack on the brew deck at Mash in the Swan Valley. Hard to say. Myself and a motley crew of young idiots took over The Monk kit and brewed a kettle sour back in the day. I took 20L of the wort and fermented it with a Cantillon Gueuze culture. I’ve still got a few bottles – it's lemon funk up the wazoo. Barrels get me excited. These are pretty new to me and that’s probably the point. Anything new and challenging is great. Cantillon or The Ale Apothecary. Why? These breweries appear to have some comprehensive philosophies and innovative practices outside of what most brewers are traditionally taught. 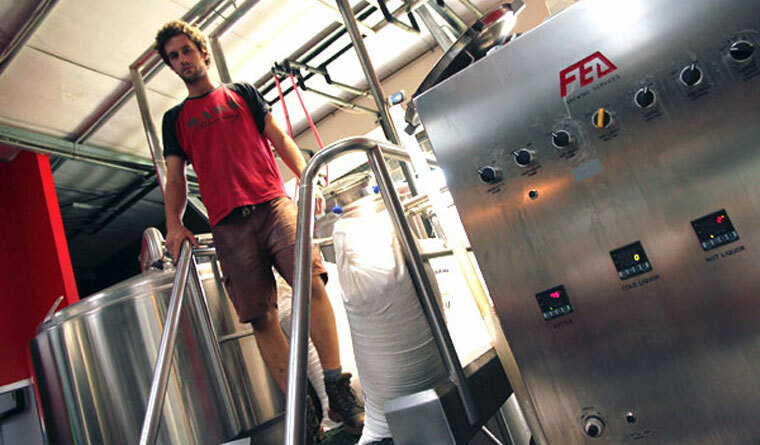 Over the years, Feral has been the benchmark for a balanced range of beers. I recently went to Sydney and had a few beers at the Wildflower tap room/barn; I like the cut of their jib. Wildflower in Marrickville – possessors of a finely cut jib. What inspires you outside the world of brewing? I have some wonderful friends and family outside of the beer world who constantly inspire me with their hard work and perseverance. My mother runs a successful horticulture/retail business. She’s done so for 26 years through drought, water restrictions and economic hardship. She’s an incredible role model for anyone working in a passion industry. Survival Island: I’m needing to stay sharp and juice my own tropical fruits. So a classic Berliner Weisse would be my go. Luxuriate Island of pleasure and coolrooms: I’m drinkin’ Pliny The Elder. Survival Island: I’m listening to Tom Waits – Mule Variations. Luxury-ation relaxation is Hurray For the Riff Raff – The Navigator. Fill my cup with some vino. What the breweries in America were making back in 2009 and how to market them in Australia. Learn to prime a pump, swing a broom and provide solid banter. You can find other entries in the long-running Brew & A series here. Images of Jack supplied by Indian Ocean (c) J Wyld.